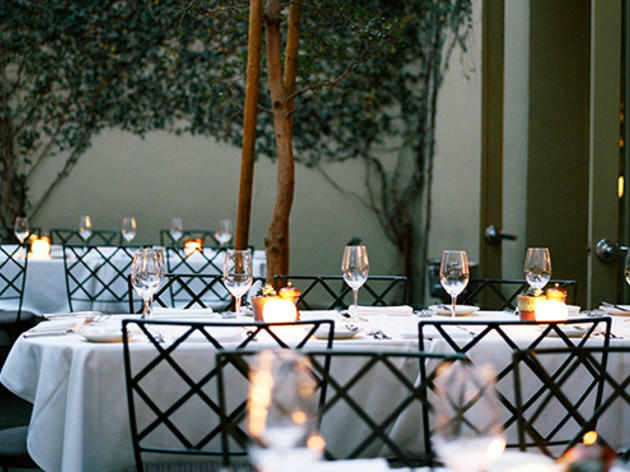 Lucques' intimate garden setting and wood-burning fireplace practically screams "Tell me you love me!," so it's no surprise that the five-course meal offered on Valentine's Day is just as intoxicating. Chef Javier Espinoza will make buckwheat blinis with American caviar, roasted asparagus with prosciutto and pan-roasted wild striped bass. There will also be grilled veal chop, and the meal will finish with a caramel crusted walnut cake and rum raisin ice cream. 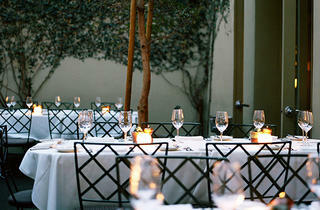 Dinner is $125 per person.